Transportation is a fast growing and changing industry in the 21th century. 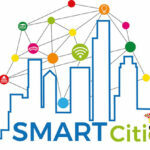 Communication and information technology solutions to transportation challenges appear every day. These changes lead to increasing automation in transport. One part of automation in transport is self-driving cars. A self-driving car is able to sense the environment and navigate without human input. Due to robotic control, it can reduce the risk of accidents, avoid traffic jams, and require less driving and parking space. Self-driving cars could replace taxis and public transportation in the future. Since 2015, Hungary has been actively involved in the development of self-driving vehicles, and in the near future, a modern test track will be finished and ready to start testing advanced technology in a road environment. This year, it is the mission to build a robot that can act as a real autonomous, self-driving taxi that takes passengers from a starting position to a target area. The following graphic shows the game field with the different areas. 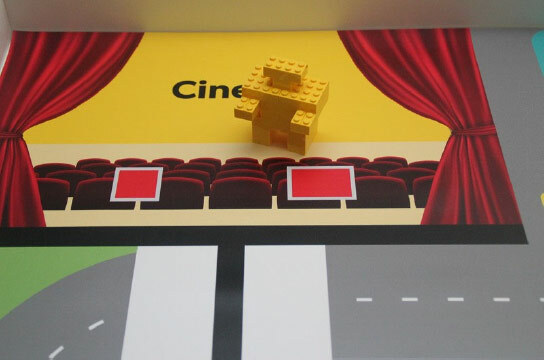 If the table is larger than the game mat, use the start area as a guide and place the Start & Finish Area at the edge of the wall to set up the game mat. 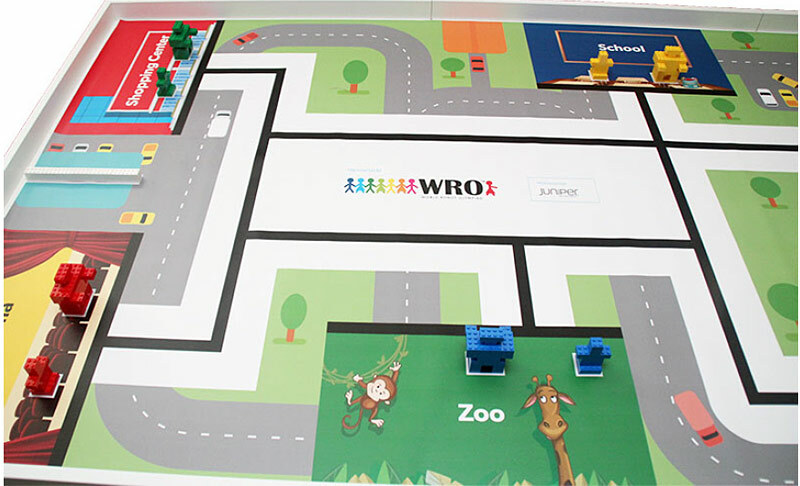 For more information about the table and game mat specifications, please take a look at WRO Regular Category General Rules Rule 4. 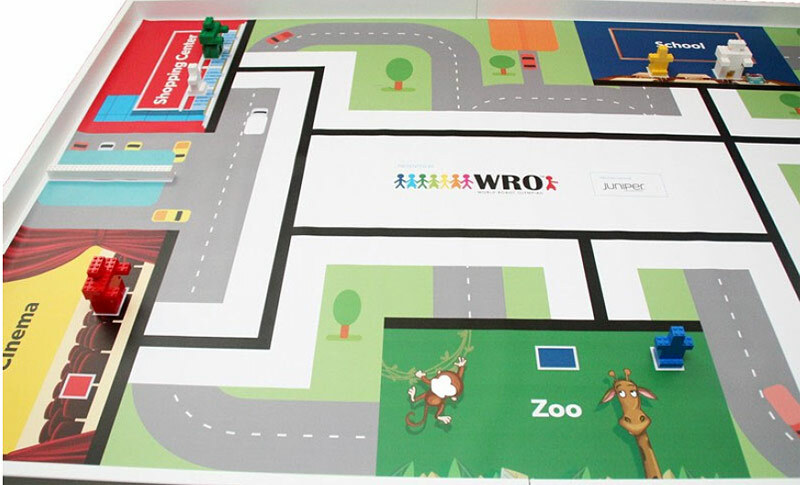 The printable file of the mat and a PDF with the exact measurements are available on www.wro-association.org. There are 8 colored passengers (green, red, yellow, blue), 4 adults and 4 children, and 2 white passengers, 1 adult and 1 child, on the field. Note: Not all passengers are used in one run, please take a look at the next chapter for randomization. There are 2 battery blocks on the field. There are 2 walls on the field. Movement or destruction of walls is not allowed. The positions of the passengers are randomized at the start of each round. The randomization is done in the following steps. 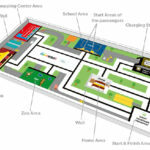 on their start areas (blue passengers in the small blue rectangle on the field, yellow passengers in the yellow rectangle, etc.). The adult passengers are always positioned with their arms pointing into the middle of the playing field. The child passengers are positioned with their arms parallel to the black line at the edge of their area. Please take a look on the photos on this page below. 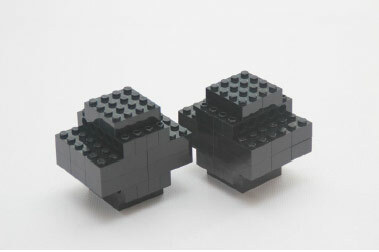 There are four different colored LEGO elements in a box: red, yellow, green, and blue. Draw them one by one and don’t put them back into the box after drawing. Replace the child of the first drawn colored area with the white child. Replace the adult of the second drawn colored area with the white adult. Remove the child from the third drawn colored area. Remove the adult from the fourth drawn colored area. Changed child in RED area to a white child. Changed adult in BLUE area to a white adult. Removed the child from the YELLOW area. Removed the adult from the GREEN area. One battery block is placed in the Start & Finish Area. Teams are allowed to put this battery block on their robot before the start. If the team puts the battery block on the robot, it has to fit into the maximum size of the robot (25cm x 25cm x 25cm). If the team does not want to use the extra battery block, they can put it away. 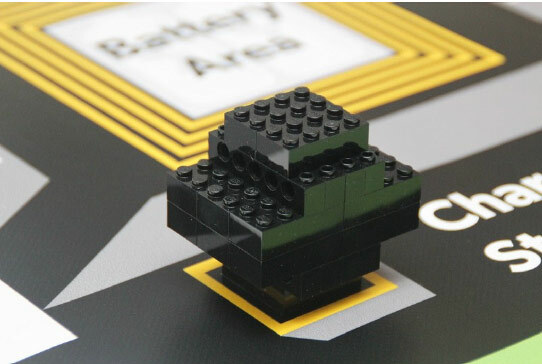 The other battery block is placed in the small position in the black area (see photo). The walls are placed on the dark grey areas that are exactly the size of each wall. One wall surrounds the home area. The other wall is between the shopping center and cinema area. For a better understanding, the missions will be explained in multiple sections. But of course, the team can decide in which order they will do the missions. 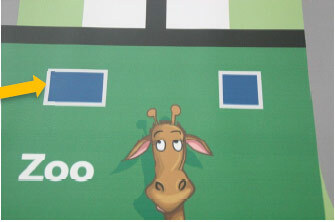 A Blue passenger (child or adult, depending on the draw) will stay in the zoo the whole day. This passenger should not be moved. It is ok as long as the blue passengers still touch the start rectangle. For the scoring, only the colored area (not including the black line) counts. Please take a look at the scoring examples after the scoring table for more information. The robot should bring one of the battery blocks to the marked Battery Area inside the charging station. The team can decide if they use the battery block in the Start & Finish Area or if they use the battery block placed in the charging station area. Points are awarded if the battery block is completely inside the Battery Area. Only one battery block counts. If the team brings two battery blocks, the one with the highest points will count (e.g. if one battery block is completely inside the Battery Area and the other one only partly, then the battery block that is completely inside the Battery Area will count). 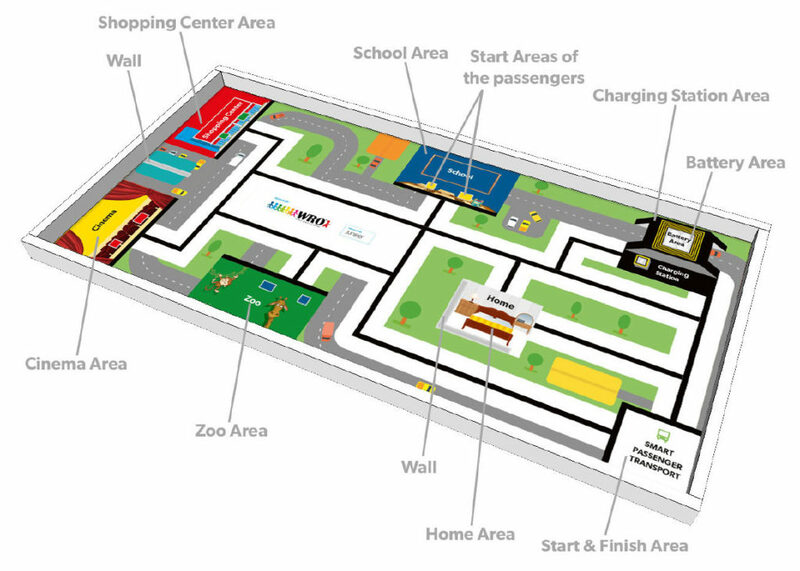 Before the start of the run, the robot must start completely within the Start & Finish area (the surrounding line is not included in the Start & Finish Area. At the start, the cables count toward the maximum size of the robots, so they need to be within the Start & Finish Area). The mission is complete when the robot returns to the Start & Finish area, stops, and the chassis of the robot is entirely (top-view) within the Start & Finish area (cables are allowed to be outside of the Start & Finish area). The walls must not be damaged or moved from the grey area. If the walls are damaged or moved outside the light grey area, a penalty is given but will never result in a negative score (see General Rules 6.15). “Standing” means that the game object is still in upright position (like the initial position). “Not Standing” means any other position. “Completely” means that the game object is only touching the corresponding area (notincluding the black lines). “Partly” means that the game object is at least touching the area with one part. Blue Passenger (adult or child, depending on draw) still standing in initial position in the green area. Robot completely stops within the Start & Finish Area. 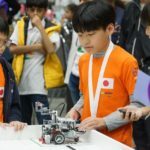 Copyright© WRO Japan 群馬地区予選大会公式サイト｜小中学生のロボットプログラミングコンテスト (ロボコン) , 2019 All Rights Reserved.